MGM Resorts International announced Monday that it has completed the acquisition of the operating assets of Hard Rock Rocksino Northfield Park from its real estate investment trust MGM Growth Properties. As part of the transaction, MGM will lease the real property from its REIT. MGM Growth Properties purchased the Northfield, Ohio-based venue from Milstein Entertainment last year for $1.02 billion. The property continued to be operated by Florida-based gaming and hospitality company Hard Rock International under an agreement with its new owner until it was announced last September that rival MGM would purchase the operating assets of one of Ohio’s busiest gambling facilities. Under the terms of the recently closed deal, MGM Growth Properties Operating Partnership redeemed approximately 9.4 million of its Operating Partnership units from a MGM subsidiary. The redeemed units represented a purchase price of $275 million. 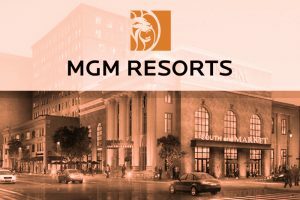 As a result, MGM has obtained an ownership stake in the Operating Partnership of nearly 69%. MGM also announced Monday that it has officially rebranded the gambling venue as MGM Northfield Park. Located on the Northfield Park grounds, where more than 200 live harness races take place annually, the newly rebranded property features more than 2,300 gambling machines as well as a number of food and beverage options, popular music and comedy events, a concert-style music venue, and retail space, among other amenities. Mr. Murren also pointed out that they are all excited for the future of the newly acquired property as it “further cements itself as a market leader under the MGM brand and Chris Kelley’s leadership.” Mr. Kelley was named President and COO of the Ohio property this past January. Following the closure of the deal, MGM Northfield Park has been added to the master lease between MGM and MGM Growth Properties. As a result the annual rent was increased by $60 million, the two companies announced Monday.